Clovis, CA, January 1, 2025– “Clifford’s House”, located in Tollhouse, CA serves young adults with mental illness in memory of Clifford Edwin Widmer, III, the son of Priscilla L. Brooks who was lost to suicide on May 25, 2005 is Thriving! “Clifford’s House”, as Priscilla has stated since day one, is “Heaven on Earth”. 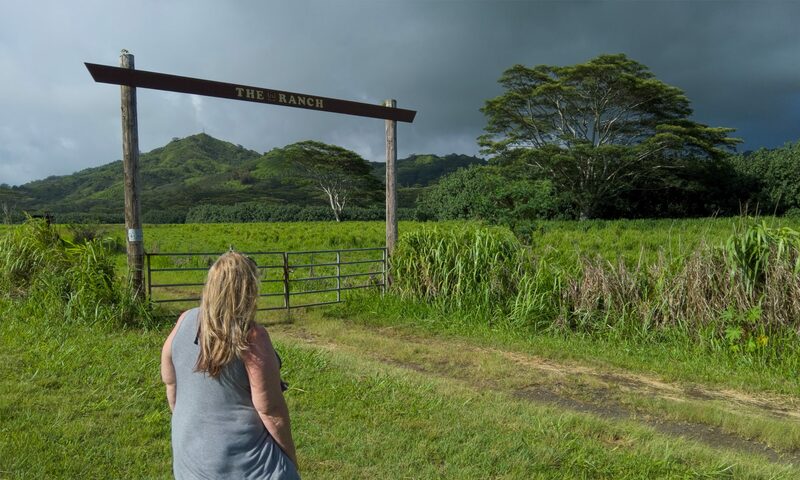 This 500+ acre compound is a place for young adults with mental illness to come and learn life and trade skills so they will become self-sufficient. The program offered includes a “brain scan” from Dr. Amen so they can first be properly diagnosed and treated accordingly. Counselors are on staff and hold regular sessions for these young adults as they progress through the program. They are able to begin their healing process through the animal rescue on the premises. The vision started out of the need for Cliff’s Mom, Priscilla to keep her sons memory alive. She wanted to help others who suffered from mental illness as her son did, to be able to be self sufficient. Although she was not able to provide this for her son, she has put into place a program, a legacy that will last many lifetimes into the future. She wanted all of Cliff’s favorite things on this property, a beautiful pond for fishing, an animal rescue because Cliff absolutely loved animals. He loved to swim, so that is why there is an amazing pool area used by the people in “Clifford’s House” as well as for catering functions staffed by these young adults. As she prayed about this vision, it became more and more, a place to feel the divine presence of our heavenly father, and the entire parcel is blessed and as you enter, you cannot help but to become overwhelmed by his presence. There is a chapel on the premises, services are held regularly with traveling pastors at this time. Perhaps one day the Lord will bless us with a permanent pastor. The trade skills needed for these young adults with mental illness are those that are not your typical 9-5 jobs. So we offer, through the ownership of 40 rental properties that provide the income stream for the compound, skills such as, painting, plumbing, fencing, landscaping, roofing, property management, and the list goes on. We have an on site beauty shop where they learn this skill as well as manicuring. The banquet facilities on site offer the skill of catering, event planning, wedding planning as we offers weddings as well on site in our Chapel and reception in our banquet facilities. As our young adults grow stronger and stronger, and find the passions within them, they are healed and ready to transition into our on site apartments so they are able to learn how to pay rent, utilities, etc. Some stay on and become leaders in this community, while others are able and ready to get back out into the world and survive as healthy adults serving their communities. We also grow and sell alfalfa hay, of course we keep what we need for all of our animals, and only sell the portions we are not able to use. Our garden also has all of the organic vegetables we need to feed us all. The Vegetable garden is surrounded by just about every fruit tree you could think of. Priscilla found every tree that would grow in our environment and climate. All of the staff and young adults are able to join us for meals in our large kitchen/social area that is also used for banquets, etc. This has recently been opened up to families in the community that are having a tough time affording to feed their families healthy meals. When asked how this makes her feel, Priscilla had this to say….. When you live a vision daily for over 20 years, to see it take on life and serve others, it fills your heart with such joy! And, it has helped me to get through my grief process and keep the memory of my son alive. Also, I used to weep when I would see a dog on the side of the road, or tied to a pole in front of a pet store, left behind, and now, I merely pick them up, give them love and bring them to the compound to live out the rest of their years with the same peace that everyone else feels the moment they enter the property. It is so hard to describe how intense and deep the feelings go when you are able to see this vision come to life! I am so blessed beyond words, and my heart is full of Love and Joy beyond measure. And, the young adults who have made it through this program, healed and ready to face the world, give me the Joy that only a mother could feel. You see, I am able to help these young adults get their life back in memory of my son, even though I was not able to do it for him. This blesses me more than anything and I know Cliff is smiling down on us all as he had such a giving spirit and a tender heart. My son was sacrificed so that many more could be fulfilled with not only healing, but discovering their inner beauty, their God given gifts and thrive through them all. If you would like more information about this topic, please contact Priscilla Brooks, Cliff’s Mom ♥ by email at CliffsStory.com@gmail.com.